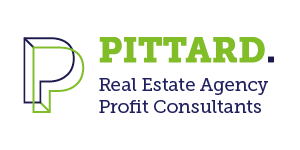 Pittard's Agency Profit System is a complete business system for creating a profitable real estate agency. Pittard agencies regularly outperform typical industry averages, achieving consistent results and long-term profits, without the agency principal or leader having to list or sell. Pittard provides advice, tools and systems to boost your agency's profitability, hire winning salespeople and improve your agency's performance. Our focus is sales, leadership and management. We offer our member agencies ongoing support through dedicated consultants and regular interactive events, 24/7 availability to tools, systems and real estate training through iTrain , access to some of the world's finest business minds through live broadcasting on Pittard TV and more to ensure that their profit goals are achieved. Gary Pittard, CEO of Pittard and author of Why Winners Win , has more than 30 years' experience in sales, sales management, training and consulting. He has experienced the daily challenges of running a real estate agency, and has developed proven processes, strategies and systems to ensure agency principals and leaders are exceeding their profit expectations. iTrain is great, the best thing that has come out. No longer do we have to rely on CD's coming out, or policing what salespeople are listening to, but having something you can stream in your car and the volume . . . Since we joined Pittard (in 2009), our profits have gone from total earnings for the year of less than $100,000 and increased every year to more than $700,000. If you are looking to increase your profits, I would recommend attending Pittard's Agency Profit . . .